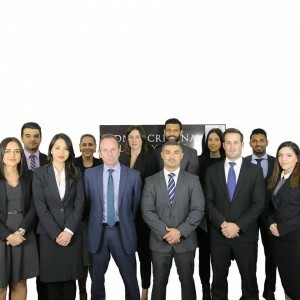 Posted October 30, 2018 by Sydney Criminal Lawyers & filed under NSW Courts. On 19 February 2015, the owner of the Bungwahl Liquor and General Store mistakenly received a package of 12 bottles of wine from the Netherlands. The owner assumed the wine was for him, so he opened the box and took one of the bottles. Two days later, the bottle was consumed at a family dinner. A woman who’d been drinking it became aggressive and unwell. She was taken to the local hospital and found to have overdosed on MDMA. The shop owner was also admitted to hospital, and found to have the drug in his system. The police subsequently searched the NSW Central Coast residence of the woman the package had actually been addressed to. Seven of the wine bottles were found on the premises, along with $12,900 in a plastic resealable bag. Cristian Mosso Ramos, the woman’s Dutch partner, was at the house at the time of the search. He’d been staying there for two months, after having arrived in Australia on a 90 day tourist visa. He admitted that the package was his and that he’d ordered it online in his partner’s name. Mr Ramos also said that the money was his and that about a third of it was from the sale of drugs. He took the police out to the garage, where he showed them the four remaining bottles, which were empty. The contents of the bottles were being dried out in Tupperware containers in the backyard in order to extract the drug in a crystallised form.  Mr Ramos pleaded guilty to two charges in the NSW District Court on 10 June 2016. The first was possessing a commercial quantity of a border controlled drug, contrary to section 307.8(1) of the Criminal Code Act 1995 (Cth). The maximum penalty for this offence is life imprisonment and/or a fine of $1,250,000. The second offence was dealing with the proceeds of crime, contrary to section 193B(2) of the Crimes Act 1900 (NSW). This offence can land an individual in prison for up to 15 years. At the sentencing hearing, the court heard that Mr Ramos had a substantial drug debt that he owed in the Netherlands and that his offending was carried out in an effort to pay this off. However, NSW District Court Judge Raymond McLoughlin said there was no evidence to support this claim. On 23 September 2016, Judge McLoughlin sentenced Ramos for the drug possession charge to 6 years behind bars, with a non-parole period of 4 years. For the money laundering offence, he was sentenced to 3 years gaol time, with a non-parole period of 1 year and 7 months. The money laundering sentence was backdated to reflect the time Ramos had spent on remand. The two head sentences overlapped slightly, but the non-parole periods were to be served one after the other. This resulted in an aggregate sentence of 7 years prison time, with a non-parole period of 5 years and 7 months. This sentence reflected a 25 percent discount in recognition of the utilitarian value of Mr Ramos’ early guilty pleas. Mr Ramos appealed the sentence he received for his money laundering conviction to the NSW Court of Criminal Appeal (NSWCCA) on 7 September this year. He did so on two grounds. The first was that the sentencing judge had made an error in assessing the seriousness of the dealing with the proceeds of crime offence, as he failed to provide reasons for why he found it to be above the mid-range. It was put forth that this conclusion was not open for him to make. NSWCCA Justice Robert Beech-Jones found it was established that only a third of the money found was attributed to drug sales. He inferred that Mr Ramos’ guilty plea to the money laundering charge was as an admission that the rest of the money was the proceeds of some unspecified crime or crimes. His Honour further noted that when Ramos gave evidence during the sentencing hearing, he made no reference to how he acquired the balance of the money. Nor was he cross-examined over the matter. His Honour accepted the claim made in the first ground, as it was not open for the sentencing judge to conclude the money laundering offence was “a little above the middle of any scale constructed”. As his Honour explained, all that was known about the money was that one-third was linked to drugs, while the rest of it was related to some unknown criminal activity. He said there was no evidence Ramos was involved in the drug transactions or that the money had anything to do with the MDMA. Justice Beech-Jones further stated that given the lack of information about the money, it was impossible to place the offence on some scale. All that could be said is that the offending was serious and a third of the money came from the sale of drugs. His Honour determined that the sentencing judge’s conclusion “was not supported by the amount that was seized, the circumstances of its seizure and the admission as to the source of one third of it”. He therefore did not consider it open to Judge McLoughlin to come to his conclusion. As the first ground was upheld, Justice Beech-Jones explained that the offender would need to be resentenced for the money laundering offence and the second ground of appeal – that the sentence was manifestly excessive – no longer had to be considered. The Crown submitted that if the appeals court moved to resentence in regard to the proceeds of crime offence that it should be inferred that all of the money was derived from drug sales. But, his Honour saw no reason for this inference to be made. On 26 September this year, Justice Beech-Jones upheld the appeal and quashed the NSW District Court money laundering sentence. And for this offence, his Honour then ordered that Ramos be sentenced to 1 year and 1 month prison time, with a non-parole period of 9 months. In order for the reduction in his sentence to be effective, the commencement date of the drug possession sentence had to be backdated. So, Ramos’ new aggregate sentence was 6 years and 9 months, with a non-parole period of 4 years and 9 months. NSWCCA Justices Julie Ward and Geoffrey Bellew agreed with the orders.